“People are building houses to block cattle routes.”However, when contacted on the matter, the Senior Special Assistant on Media and Publicity to the President, Mallam Garba Shehu said the Presidency will not dignify the Ekiti governor with a response. 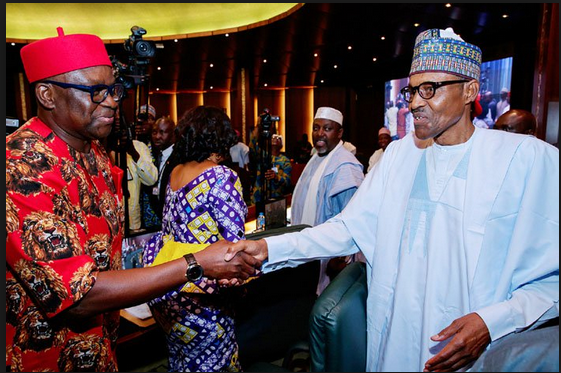 Fayose, who was speaking during a programme on Ekiti State Television, EKTV, said Buhari made the comments during the Federal Executive Council meeting “last week. He said similar incidents have happened in countries like Ghana and “they took decisive decision.”He said: “The president must be courageous enough to end these mindless killings. I remember when we were in a meeting last week; the president was saying that people are blocking cattle routes. The president of Nigeria was saying governors should go and make sure they don’t block cattle routes. He said people are building houses to block cattle routes. ← #BBNaija: Ifu Ennada speaks after eviction; reveals reason she didn’t kiss Rico.